I'm more of an espadrille kind of girl, but espadrilles in the fall and winter are just not practically and I find that they get ruined so quickly. 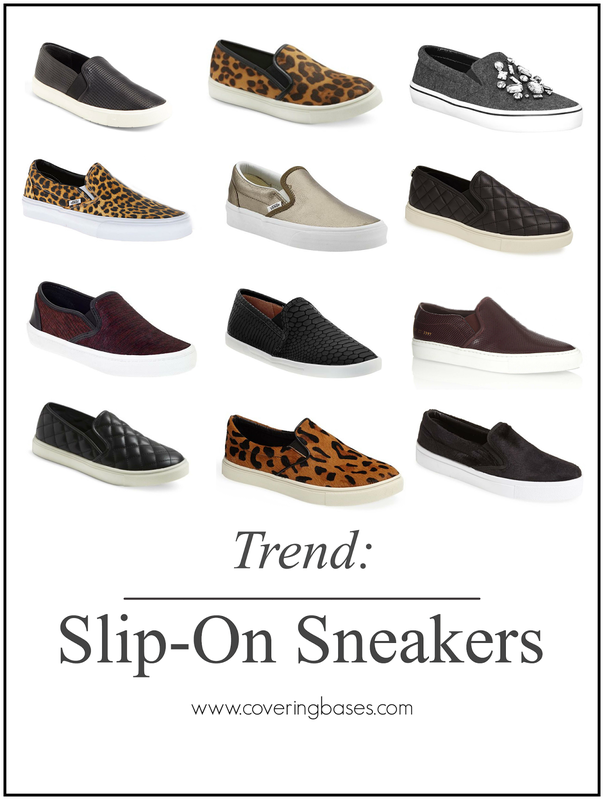 I totally agree with you that the slip on sneaker trend is starting to grow on me as well. I think some of them are so cute and they are much more practical for the cooler months. I would definitely get the quilted Steve Madden ones as well because who could resist the quilted detail?! Also loving the Kate Spade ones, love the jeweled detail.